About: Lefkas aka Lefkada is known for its spectacular scenery and it has one of the most stunning beaches in Greece with white sands and turquoise Ionian sea. It’s one of the few Greek islands which you can drive onto and it has become a mecca for outdoor adventures: sailing, mountain biking, windsurfing, hiking and snorkeling. Tips on sailing: East side of the Ionian islands with fewer waves and fair wind sailing is suitable for the beginners. The Maistros fair-weather-wind is usual in July and August and it rises in the afternoon and usually dies at sunset. Towards the west of the Ionian islands and south of Kefalonia, winds and sea can be more demanding. About: Corfu or Kerkyra is bound up with the history of Greece from the beginnings of Greek mythology. The island is famous for its large amounts of olive trees. There are about 4 thousand. 3% of the worlds olive oil comes from Corfu. It is also an island with a record number of beaches, calculated at about 119. Old Town of Corfu is a UNESCO world heritage site. Tips on sailing: A favorite destination for mariners, the Diapontia islands north of Corfu are ideal for diving and fishing. Make sure to include the island of Ithaca, home of the hero Odysseus, on your route. Visit – Mouse island or Pontikonisi as the locals call it, at the entrance of Gulf of Halikiopoulos, in front of the airport runway, along with the neighboring Vlacherna. About: Páros, located at the heart of the Cyclades is one of the best-loved holiday destinations in Greece. Historically, it was known for its fine white marble. Breathtaking landscapes, endless sandy beaches with azure blue waters are easy to fall in love with. Moreover, the island has a lot to offer and therefore keeps you entertained all the time. Tips on sailing: When sailing in the Cyclades make sure to visit one of many beautiful secluded anchorages. Along with all routes, spectacular scenery and ancient archaeological sites are nearly everywhere. In high summer it can be very breezy thus sailing conditions are not suitable for beginners, but rather for experienced sailors. The best time for sailing is from May to June and from September to October. About: Kos island, located on the southeastern side of the Aegean Sea is one of the most popular destinations in Greece. It is one of the most visited islands of the Dodecanese islands group having both tourist and secluded spots to keep away from crowded places. With tall palm trees, crystal sandy beaches, beautiful landscapes and archaeological sites from ancient times Kos is simply top holiday destination. Tips on sailing: Breezes in the Dodecanese are often gentle and favorable for sailors. In the summer the prevailing wind is the Meltemi blowing from the NW-W. As this sailing area is close to Turkish national waters, be aware of your coordinates to prevent any unexpected problems. About: Skiathos, a Greek island in the northwest Aegean Sea, is part of the Sporades archipelago. Famous for the lush greenery, exotic beaches and vivid atmosphere it’s among favorite destinations for youth and also families. The most popular exotic beaches are Koukounaries, Banana, Agia Paraskevi, Kanapitsa and more. From Skiathos island, tourists can make day trips to Skopelos and Alonissos. Tips on sailing: during the summer months the Meltemi is weaker in the Sporades region. Approaches to the island are straight-forward with no dangers. Go Scuba Diving – one of the highlights is Poseidon Cave, with its small red-tinted corals. There is more to Greece than the mainland. 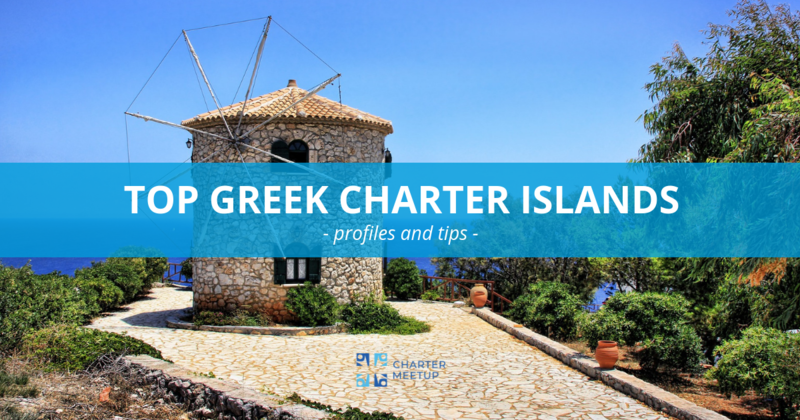 To find out everything on sailing the Greek islands visit Charter Meetup Athens 2019 in April. It’s a B2B charter weekend that enables international charter brokers to refresh their Greek charter knowledge and master their bookings in Greece. Firstly, through sailing area presentations made directly from 30 most distinguished Greek fleet operators become an expert on sailing in Greece, meet all of them in person during B2B speed dating and at top of, visit Lavrion, Alimos and Kalamaki marina in an organized tour. Apply for Charter Meetup Athens here. LEAVE US YOUR EMAIL AND WE WILL SEND YOU MORE INFORMATION! Only a few more spots are available!